Coming soon to Southwest D.C.: D.C. United! 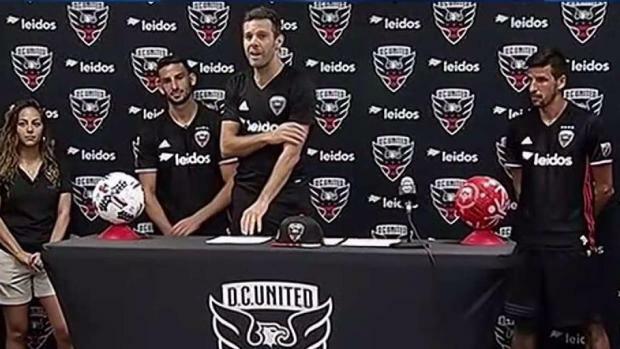 Washington's soccer team announced Thursday that their home opener in their new stadium, Audi Field, has been scheduled for Saturday, July 14. They'll take on the Vancouver Whitecaps. Audi Field will host 15 games during the 2018 regular season. After playing in RFK Stadium since 1996, the team played its final game there in October. DC United and Special Olympics DC team up for a Unified Soccer Team. Carol Maloney was there for the Unified team's signing day. Audi Field will have a capacity of 20,000 fans and will feature 31 luxury suites, a bike valet and 500,000 total square feet of mixed-use retail and residential space on site, according to a statement by D.C. United. It will host a variety of other sporting events, community activities and concerts. Three days the first match at Audi Field, the Washington Nationals will host the MLB All-Star Game at Nationals Park, just blocks away. Go here to see D.C. United's full schedule.